This printing machine is the last of the portable size. It is ideal for the fixed studio location but can be easily moved by two people. Bed size 20 x 40 inches/ 51 x 102 cm. Easily prints A2. 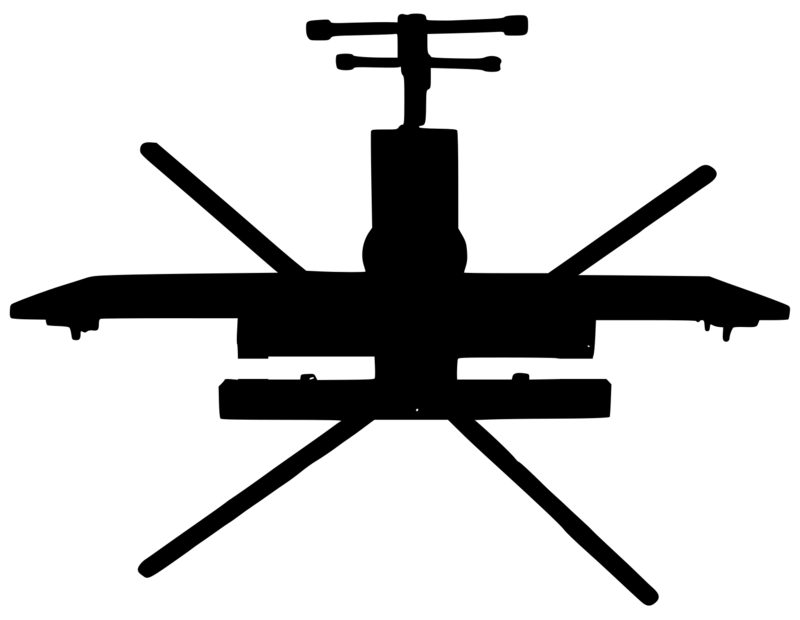 Photo shows No2 with stand. 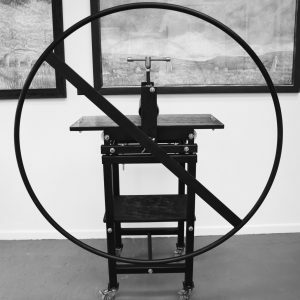 Multi printer: Prints etchings, solar plates, photopolymers, lino, woodblocks, letter press, collagraphs, embosses and bromoils. Delivery Information: The price quoted is for collection only. 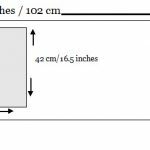 We are happy to arrange delivery on a pallet, please contact us for a price. 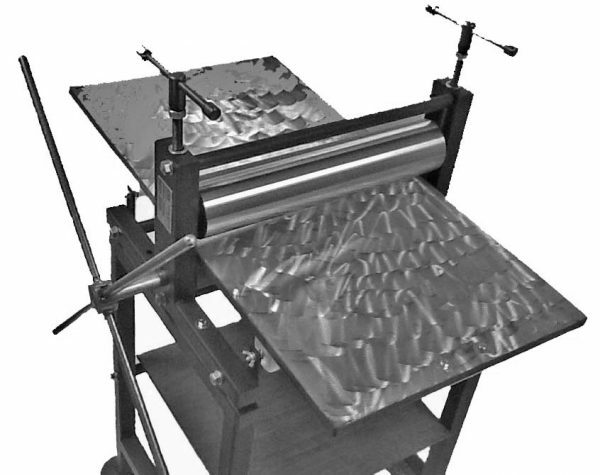 With one blanket (included in press price), Upgrade to an Etching Press Blanket Set of Two, 1 x 2mm & 1 x 3mm Thick., Up-grade to a Etching Press Blanket Set of Two, 3mm Thick, Up-grade to Printing Press Blanket Set of 3, 1 x 2mm thick, 1 x 3mm thick & 1 x 6mm thick, A set of 3 100% Woven Wool Swanskin Blankets. I have owned a Gunning No. 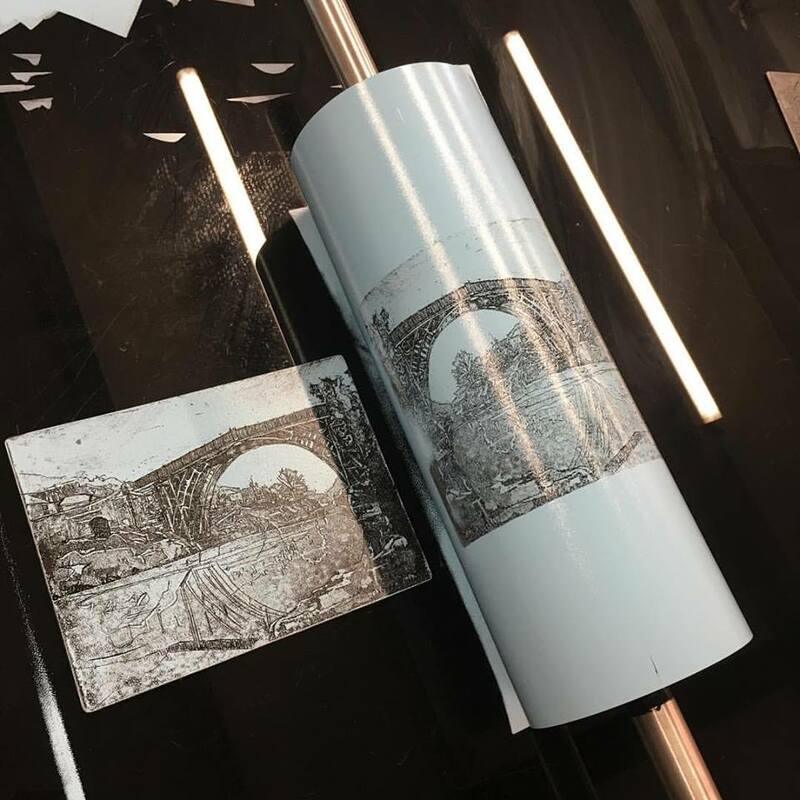 2 Studio press for over 12 years finding it easy to use producing consistent high quality prints – from etchings and embossing through to collograph and lino/woodcut work. 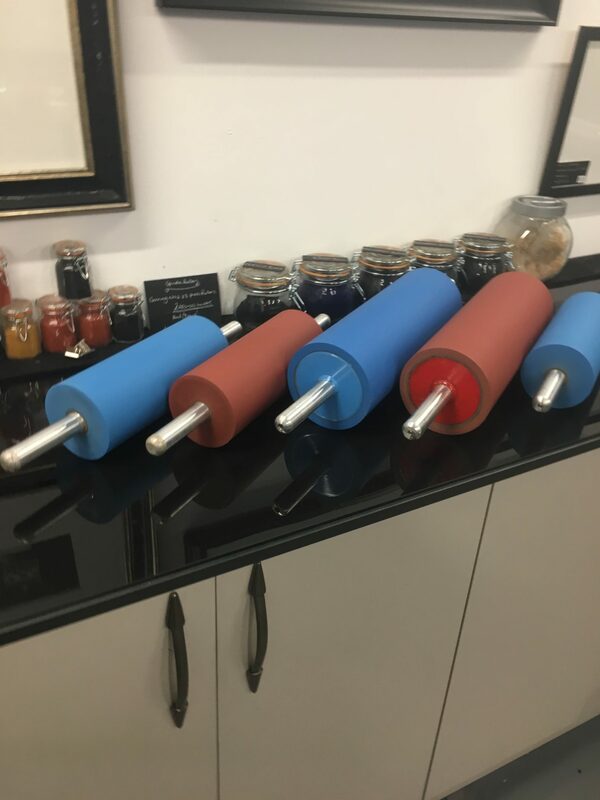 As a professional artist/print maker I prefer a direct-drive press because I can feel how much pressure is being applied. This essential feeling is lost when using highly geared presses. 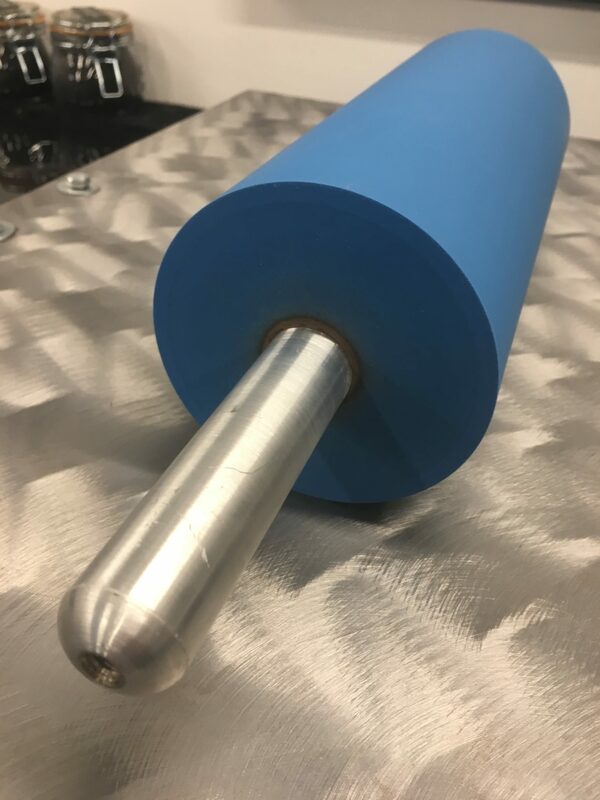 I have witnessed enormous pressures being applied accidentally by whizzing a geared handle round and round when the press was not set correctly. 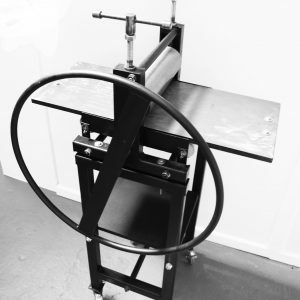 So feel is an important part of the art of printmaking, following on from producing an impressive image on the plate. I learnt to print 70 years ago on an Albion Press at Bourneville Art College, being used to print lithographs on stones. 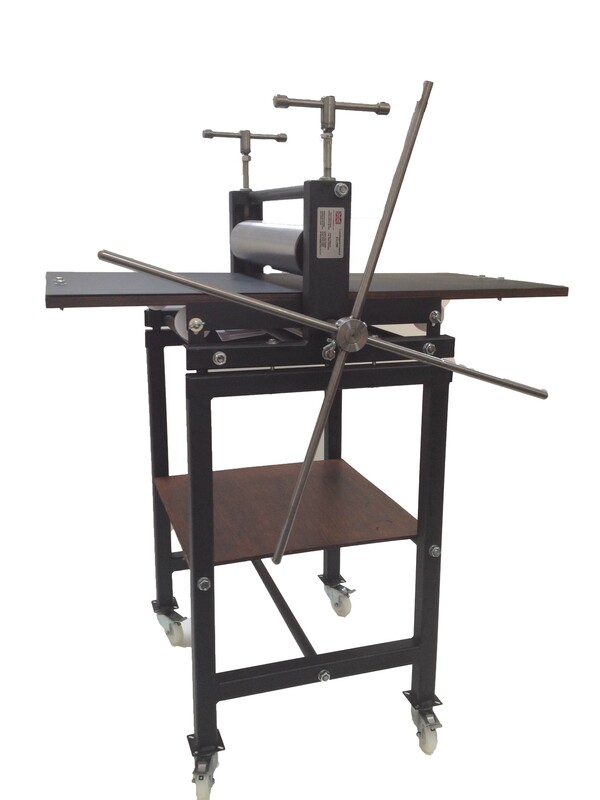 Other colleges printed on roller presses which were enormously heavy and dangerous, because if the plate came out and dropped, it could cut your foot off. 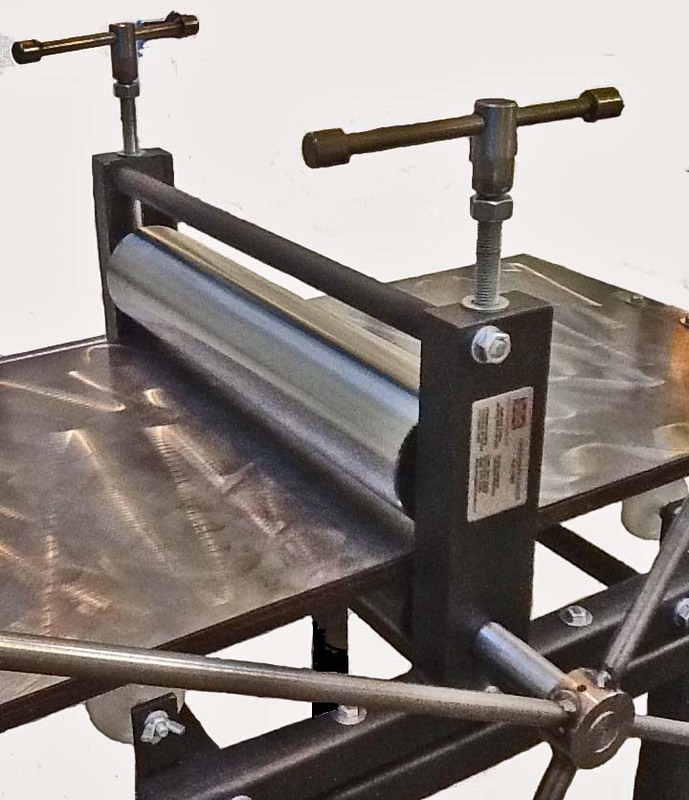 Modern fabricated Gunning presses are a great improvement – they still have all the printing qualities you need and more, but without the weight of castings. My friend David Gunning supplied an extra large star wheel at my request so that I can easily print up to A2 on a bed 51 x 102 cm (20″ x 40″). 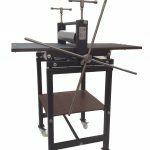 I recently moved my press into another studio with only one other person to help me. When I first had it, I was strong enough to move it on my own – having slid the bed out first. So it is portable.